The Keg menu prices for a chain of restaurants which started in Canada, in an old industrial building in British Columbia in 1971. The Keg Steakhouse is a casual dining steakhouse that serves prime cut steak and scrumptious entrées. The Keg now has restaurants in all Canadian provinces and 5 American states. This restaurant is widely praised for their fresh food and dishes that are made from scratch. When eating in their restaurants, diners get a homey and comfortable feeling and provides customers a pleasant dining experience. The Keg is also widely known for their tender and well-cooked steaks, particularly the Kansas City strip, which is a bone-in New York striploin. Below are the latest The Keg Steakhouse menu prices. Aged for extra flavor and tenderness, rubbed with our unique blend of spices and slow roasted. Hand-carved and served with horseradish and red wine herb jus. Our cuts are well trimmed, aged to perfection and grilled over high heat with Keg seasoning, resulting in a juicy and flavorful steak. We’ve taken some of your favorite steaks and dressed them up. Our Fish meals are fully plated as described. Our Chicken meals are fully plated as described. Our Rib meals are fully plated as described. By signing up to receive The Keg’s newsletter via email, members will be the first to know about upcoming promotions, new seasonal dishes, the latest news, and special events. Sign-up is simple and free. Those interested in signing need to visit The Keg’s official website. The Keg believes in giving back to the communities in which it operates. Through The Keg Spirit Foundation, The Keg supports local charities that focus on helping young adults. The Keg Spirit Foundation has helped over 300 local and national charitable organizations including Big Brothers Big Sisters and Free the Children. Their Winter Grill Menu is sought after in Canada because it contains delicious dishes such as the creamy lobster bisque and The Keg stuffed fillet, which is steak filled with capicola, dates, jalapeños and feta cheese, and wrapped in applewood smoked bacon. In the United States, dishes like prime rib with garlic mashed potatoes are best sellers. Their servers are attentive and will keep diners well informed about the food on the menu. 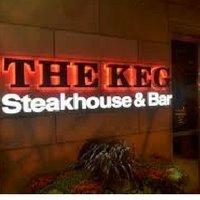 For more information about The Keg Steakhouse, visit their official website.